Setting different prices and quantities for each option is simple, too! 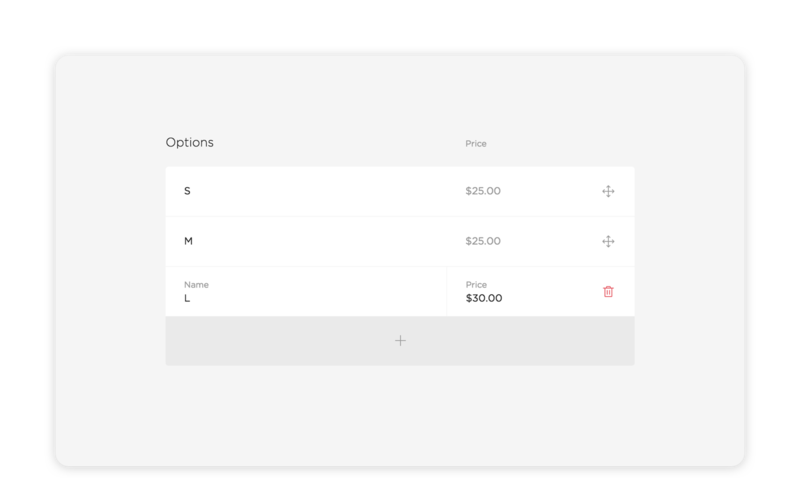 If you’ve got more than one set of options, you’ll either need to create a separate product listing for each option, or group together options in one list like this: Small / Green, Medium / Green, etc. 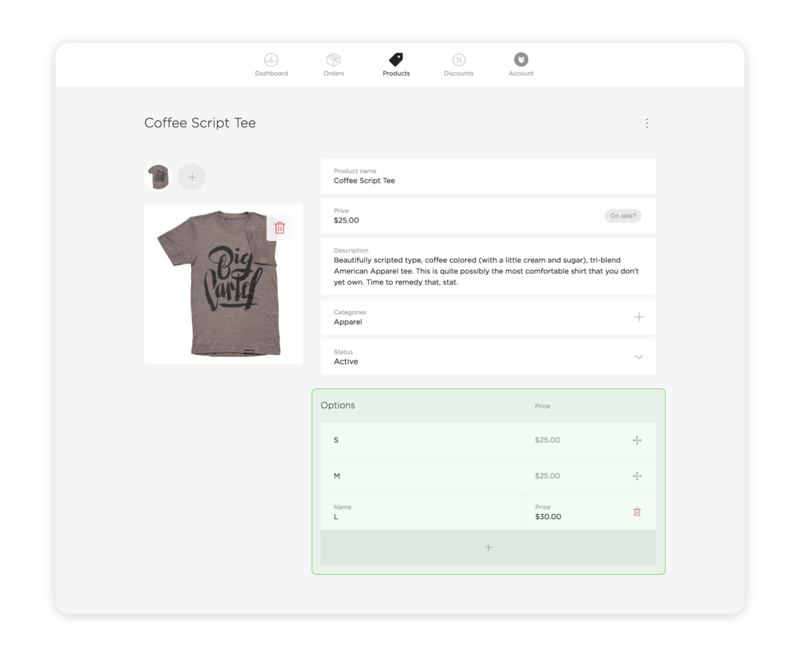 Click on a product listing to edit it, or create a new one by clicking +. Scroll down to the Options area and click Add option. Type the option’s name - “small” or “green”, for example - in the Name field. If needed, adjust the quantity or price of the option. Repeat those steps with all the options you want to offer for that product. Tap to add a new product or edit an existing one. Tap Options to enter a new option - “small” or “green”, for example - in the Name field.